As soon as six o’clock hits, it’s time for a bottle of wine. 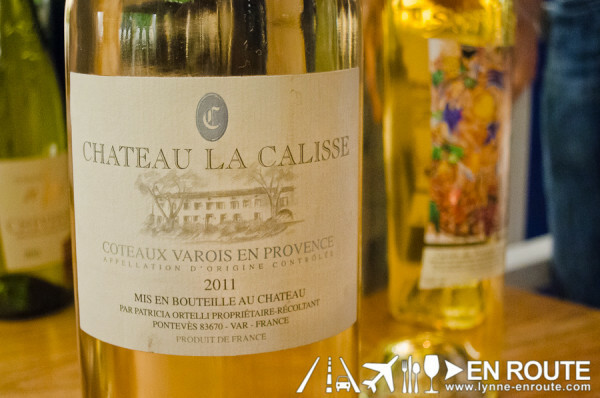 Not just any kind of wine, but a boutique wine from varying French regions. This is Le Jardin’s Wine O’Clock offering. Boutique wines come from winemakers who only produce 200 to 300 bottles of a certain kind of wine each year. Think of them as your craft beer for wine lovers. 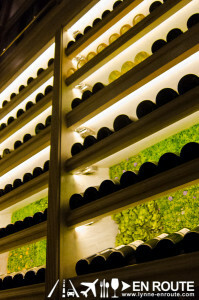 Le Jardin’s wine collection allows you a look into some of the rarest wines from France, with featured wines at 40% off from 6 to 8pm. That’s not all they have to offer. 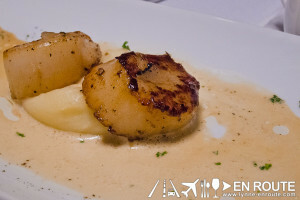 When they first opened in November of 2013, the garden-themed restaurant on the penthouse of the W Fifth Building in BGC provided set menus of French cuisine. 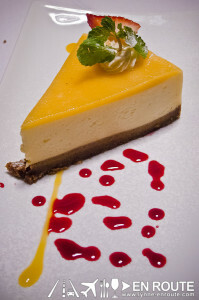 Recently, they launched their à la carte menu, allowing you a few more choices in terms of entrees, mains, and desserts. “If you liked it, I cooked it.” Chef Jonas Ng, one of the owners quipped before going back to the kitchen. 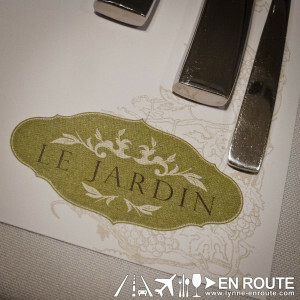 He shares Le Jardin with Chef Gils Brault and Chef Hasset Go. They make their own cheeses. 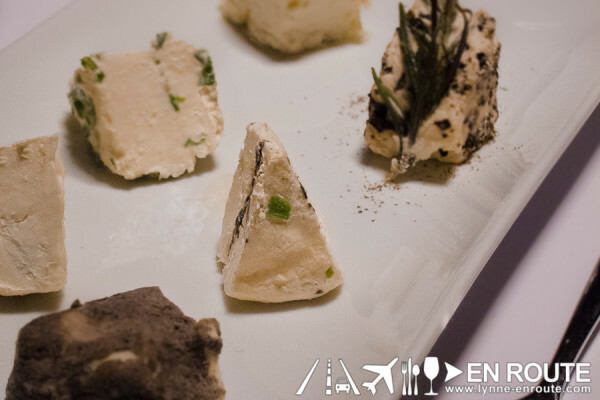 These are soft cheeses and the ones we sampled included Ash, Plain, Black Olives, Chives, Rosemary, and Truffle. They’re all really good! The runaway winner was the truffle but the chives was a close runner-up. Ever tried escargot? 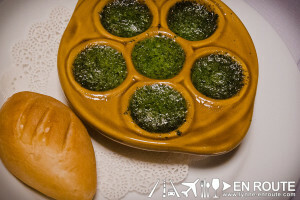 The Escargot de Bourgogne (snails in garlic and parsley butter) with some warm bread dipped into that sauce is delicious. 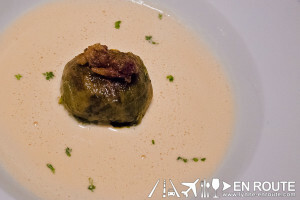 If you’re not a fan of snails, go for the Pouponette de chou confit de canard (duck confit in cabbage on a bed of potatoes with crispy duck on top of a foie gras sauce) appetizer instead. 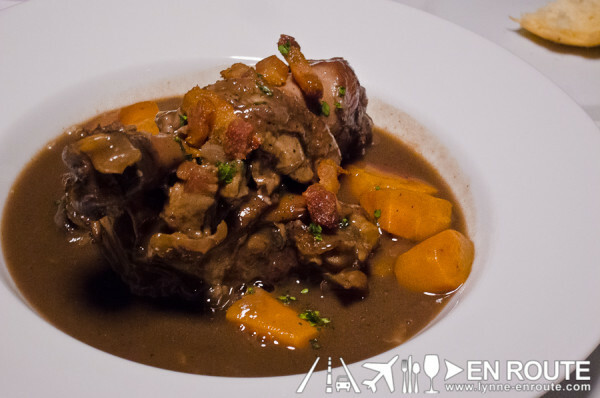 They have their take on the traditional Coq Au Vin, using Pamora free-range chicken marinated in red wine and bacon for 24hrs. 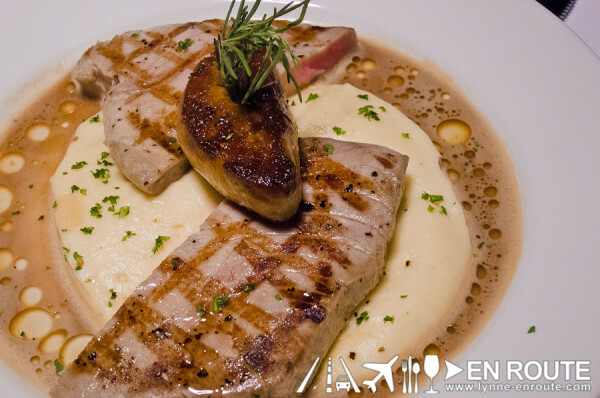 As a seafood option, you can try the Pave de thon et foie gras poêlé, sauce aux truffes (grilled tuna steak from General Santos with foie gras and truffle sauce. To end it on a sweet note, you can opt for some macarons or a slice of cake. 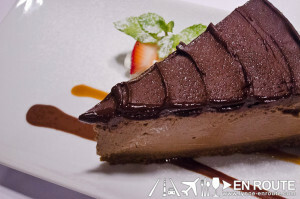 Chocolate lovers will enjoy the dark chocolate cheesecake. (This should go well with a white or rose wine.) 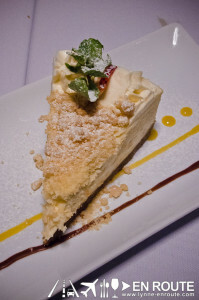 Lighter-flavored options include the Lemon Cheesecake or Apple Cheesecake Crumble. Just because it’s a French restaurant doesn’t mean they go wild with foie gras in everything but, wherever you taste it, it’s never overpowering. 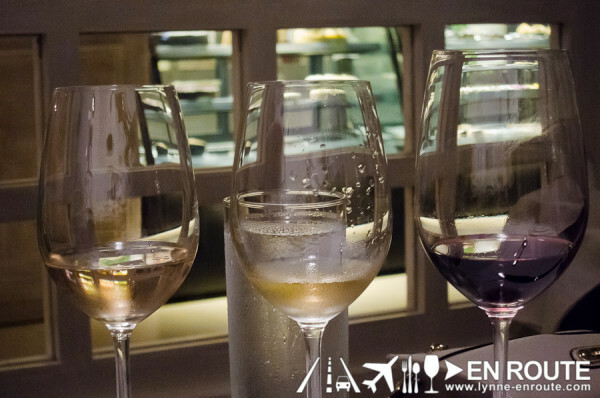 Apart from the food, we’ll most likely be back for their collection of boutique wines and the experience of sipping it while looking out over the city. 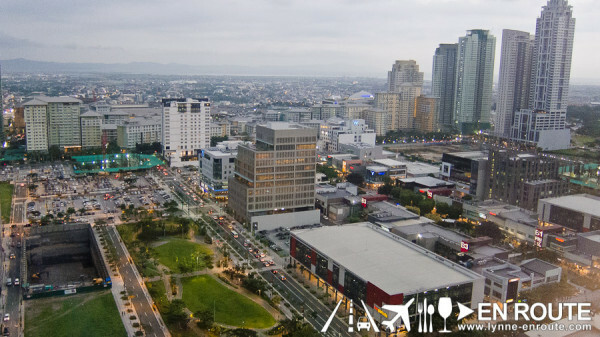 Le Jardin is located on the penthouse level of the W Fifth Building, 5th Ave. corner 32nd St., Bonifacio Global City, Taguig. They entertain both reservations and walk-ins. The restaurant is open from 11am to 11pm everyday. 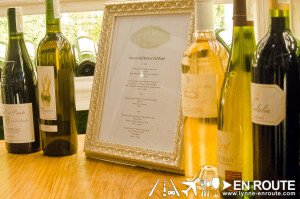 You may contact them via mobile: +63917 817 6584 or e-mail: lejardinfrenchrestaurant@gmail.com. To find out more about them and their menu, you may visit their Facebook page. Tried a new restaurant lately? Share it with us on Facebook.